National Register of Citizens was prepared in 1951 immediately after the conduct of population Census in that same year. It contains the names of Indian citizens of Assam. Since then it has never been updated. Since independence time and again Assam has been rocked by the issue of illegal immigrants. Towards the end of 1970s and in the first half of 1980s All Assam Students’ Union and All Assam Gana Sangram Parished (their leaders later formed the party called Asom Gana Parisad) led a popular movement against illegal immigrants from Bangladesh. The agitation ended in 1985 when Assam Accord was signed in the presence of Prime Minister Rajiv Gandhi. The Accord stated that foreigners who came to Assam on or after 25th March 1971 should be detected and expelled. In 2013 Supreme Court passed an order to update the NRC. 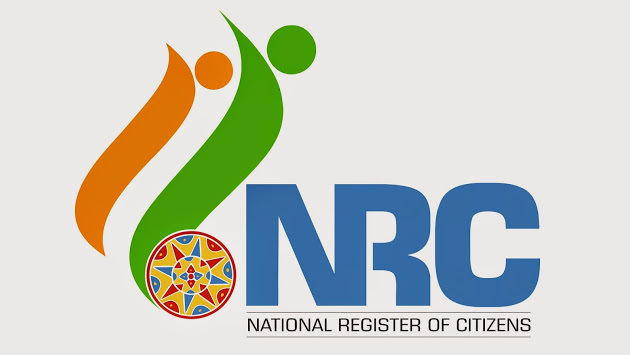 In 2015 the process of updating of NRC began and 3.29 crore people applied to register their names. These people are asked to provide two sets of documents – a document among a class of documents issued before 24th March 1971 to the applicant or his/her ancestor and another document that establishes ancestry linkage. When the final draft got published on 30th July 2018 more than 40 lakh (4007707 to be precise) people found their names being excluded for different reasons. There are also innumerable instances reported in media where apparently genuine citizens have found their names excluded from NRC. The Supreme Court now says that these people will get fair chance to prove their citizenship and no immediate action will be taken against them. One may however, wonder why this exercise of updating NRC was deemed necessary and what are the arguments made in favour of it? Two major arguments can be identified in favour of NRC. These arguments are related, but are fundamentally different. The first category of arguments can be summarized as follows. Assam has been experiencing huge infiltration from neighbouring Bangladesh for several decades since 1971. Assam accord of 1985 requires that these illegal immigrants be deported. NRC is required to be updated to identify the infiltrators / foreigners. The second argument is echoed by many including some of the progressive sections of the society. It refers to the feeling of the large section of the non-Assamese speaking population some of whom are living in Assam for more than fifty years and some even from a period before 1947. For too long they have been treated as second class citizens and have been deprived of the dignity they deserve. Time and again they have been taunted as foreigner by the Assamese speaking majority. A large section of these people support NRC with a hope that this would settle the foreigner issue once and for all. I would like to argue here that both these arguments are futile. While the first one is coming out of a mythical belief, the second one reflects hopeless desperation. Let us consider the first argument first. It has been continuously trumpeted through media and political platforms that there has been huge infiltration taking place in the state of Assam for a period as large as four and a half decades (since 1971). Such large and long term infiltration, if happened, can no way escape from being reflected in the population surveys. But the Census data does not show any such trend. In fact, throughout the four and a half decades since 1971 the population growth rate of Assam was lower than the all India average. It was in the decades preceding 1970s (i.e., before Bangladesh became independent) that we see evidence of large scale migration; this is the period when the population in Assam was rising at a much faster rate than the rest of the country (See Figure 1). So the infiltration hullabaloo appears to be more a propaganda than reality. We need to note here that the much talked about Assam accord nowhere mentions about any NRC. As mentioned earlier it only says that any illegal immigrant who came after 24th March 1971 should be detected, their names will be deleted from electoral rolls and expelled. This could have been done by the Illegal Migrants (Determination by Tribunal) Act (IMDT act) of 1983 or by the Foreigner’s act of 1946 which later has replaced the IMDT act. Updating NRC was never mandated by the Assam accord. Asking the entire population to come and prove their legitimacy is atrociously undemocratic and saying that NRC is the soul of Assam accord is simply immoral. Apart from the harassment of common citizens it would also be an enormous waste of public resource if the number of illegal immigrants is not really that large as we have argued earlier. You don’t really want to use a cannon to kill a mosquito. It is as ridiculous and as wasteful as to prescribe a full scale demonetisation to eliminate a few fake currencies. The second argument comes out of despair. It has been for several generations now that the non-Assamese speaking (read Bengali speaking) residents of Assam are being targeted by the ‘son of the soil’ politics. Things got worse in 1960s and 1970s with the infamous ‘Bongal Kheda’ campaign which was essentially an ethnic cleansing movement. Bengali speaking families living in different parts of Assam since the colonial period were suddenly tagged as foreigners and became a victim of the hate campaign. Its undercurrent continues till today. A large section of these people who are residing in Assam from a period before 1971 would like to take NRC updating process as an opportunity to end their ordeal of indignity. They think that this exercise will get the foreigner tag removed from them once and for all. But would NRC really settle things and solve their problem? Whom do they expect to silence by showing their name in an updated NRC? Someone who subscribes to the philosophy of ethnic cleansing and perpetuates hate mongering against religious or linguistic minorities would certainly not listen to any reason. The anti-migrant apartheid is anyway not restricted to people who migrated after the cut-off date of NRC. Such racism can only be countered through organized political protest and resistance by the progressive and democratic forces. The political parties that championed the ‘foreigner’ issue on the other hand are a beneficiary of this ‘son of the soil’ politics. It is a time tested way to polarize votes and win elections. Who would like to kill a goose that lays golden egg? It is therefore not in their interest to let this issue settle. NRC or no-NRC the ‘foreigner’ card with all probability will be played again. The near absence of left progressive forces in Assam’s political space has created a void. The party that has made use of it most is BJP. It came to power in Assam riding on the incompetence and corruption of Congress. It has made massive inroads in the Barak valley using its two pronged tactics – emphasizing the corruption of Congress and fanning out communal division. With 2019 on the horizon, they need a spectacle that makes appeal to popular sentiments. They have sensed that NRC may do the trick. Like demonetization NRC too demands loyalty, sacrifice and hardship to achieve a mythical goal. They have very cleverly twisted the plot and turned the original Assamese versus non-Assamese tussle into a Hindu – Muslim fight. This suits their politics. To do that they have arm twisted their junior partner AGP in Government. How long they will be able to do it only time will tell. But presently they are doing fine. They have played with the sentiments of Bengali Hindus and promised them enrollment in NRC. People are under an illusion that having their name in NRC will ensure dignified social citizenship for them. This could be so wrong. NRC may turn out tomorrow to be just another piece of paper like the voter ID card or the passport. Rights after all are not pieces of papers. They need to be fought for and earned. The absence of left democratic forces has made that fight difficult. With BJP in power that fight has only become more difficult for people who apart from being part of linguistic minority, additionally belong to religious minority.